HCL Technologies scheduled for the role of Associate for B.E/B.Tech graduates & Graduate Trainee for Diploma holders at Bangalore Office. The detailed eligibility and application process of HCL Recruitment are given below. To execute assigned work requests pertaining to creation of drawings, models and low level designs through various tools like AutoCAD, Pro/E etc. as per the client requirements within stipulated timelines. To create new designs and models or redo the existing model for meeting client’s prescribed standards. To create new drawings as per requirements within the stipulated standard levels. To manually review and validate the generated outputs; maintain relevant documentation in client database. To track, prioritize and plan the assigned tasks and escalate for revisiting the timelines in case of complex work requests. 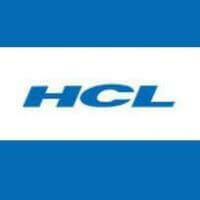 How to apply for HCL Recruitment? To assist in Test Case creation from the Functional Specifications /Software Requirement Specification document.